This will give your scrambler set the finishing touch. 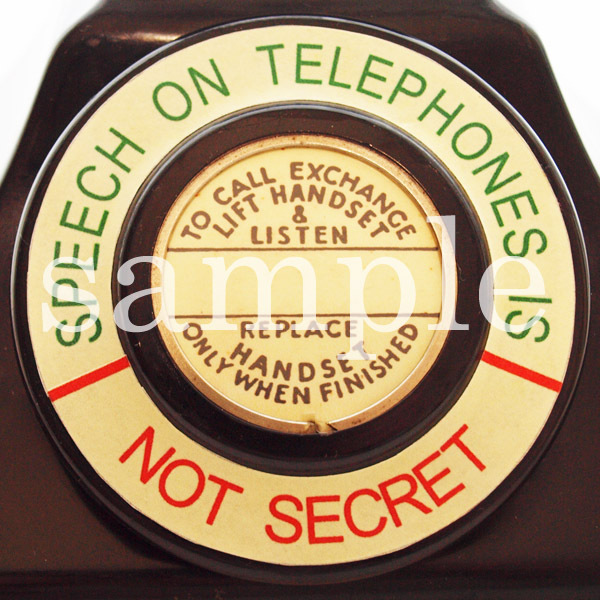 As you can see this is a very good copy of a label used to inform people of the need to secrecy when talking on the telephone. Often used on scrambler sets or places of security during and after the war. This Bakelite CB plate will come with printed outside label, a centre label and cover, a label spring clip and a mounting screw to secure to your 200/300 series telephone.